Finally an action RPG! More along the lines of the kind of games I like playing. I loved the Robin Hood story, and the Prince of Thieves version in particular. I like my heroes dark and pragmatic. The game basically follows the same story as the movie, though it adds in some more action elements that add a bit to the game. 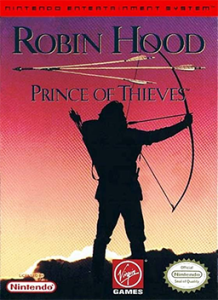 You begin as Robin Hood, through your adventures various people will join you – which only matters during certain points in the story where you swap to an overhead battle view and the members of your band help you fight off swarms of enemies. You access the characters screen through a menu. There is a straw doll where you can equip weapons and armor. I’m slightly confused at the need for the whole doll since you never find headgear or leg armor, though there appear to be slots for them. Most weapons are single handed, which means you can wield two of them. I’m not sure if this helps your computer controlled characters at all – but with Robin just means you can attack with both hands instead of just one hand. I didn’t find much of a benefit. Bows are two handed of course, and are much more effective than anything else. The locksley bow actually has a burst fire that shoots 3 arrows at once (you can’t turn this off so be careful). You get an overhead view of your character for the majority of the game. The game is very linear, each area has a start and end point. The game creates basically a maze to get there, where everything looks similar and you have to find your way through. There is a map option in the player screen to see the immediate vicinity which is very valuable. The game is broken in to a series of missions. Each mission has a start and end point. You have to get somewhere, accomplish something, then get back. The maps don’t change, so once you learn your way through one you can find your way through it again – but once you’re past certain areas of the game you can’t return to them since not everything is connected at the same time. The maps have items spread out over them waiting for pickup. You’ll find food items, potions and quivers all over the place. The food restores health, along with the potions. Unfortunately your inventory is limited to 6 spots, so storing up for a rainy day isn’t possible. I went through the game pretty gun-ho and used items as I got them (basically) and got through just fine. There are also two horse riding points in the game, where you have to navigate a horse down a linear track while jumping over obstacles. This is a side scrolling part of the game, and is basically jumping over two blue rocks over and over again. Combat is mostly top down adventure style. You swing your weapon to attack bad guys that appear on your screen. If you have a bow you can shoot arrows at them instead (they shoot arrows back). The weapon you swing (size etc) is based on what you have equipped. 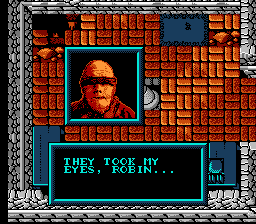 Robin’s father’s sword is particularly big and effective at killing things. At certain points in the plot you will zoom out and have a larger scale battle where your band will help. Enemies will spawn from different points around the screen and attack. I found it difficult to tell exactly what was happening during these points, I took damage but never saw them swinging weapons. Same things apply, if you have a sword you use it, if you have a bow you shoot arrows – but can also use a sword. Even if you don’t have one equipped. 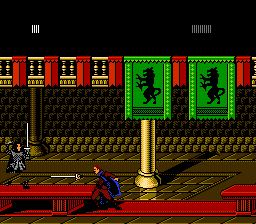 You will also find yourself in duels, which is a side scrolling combat style. You’ll fight with a sword against a single opponent. You can jump, roll, duck and swing your sword (not at the same time). At these times you try to get your opponent to stand on something so you can poke them in the legs with impunity. You begin in a jail and have to break out. Which isn’t complicated. Finding your way through the sewers leads to an overhead battle where someone dies and you make your escape. 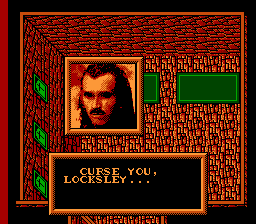 Then you travel back to your family castle, meeting the sheriff’s men and making fools out of them on the way. 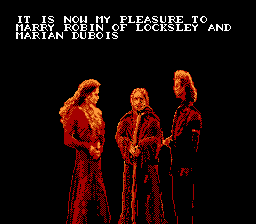 Finding your castle in ruins you rescue Duncan, then go to find Marian and give her her brother’s ring. From there the sheriff finds you and you have to escape on horse to Sherwood Forest. Which is really just a short ride along a dirt path. In the forest you eventually find Little John and put the beats on him for trying to extort money from you. No need to drown him, just poke him with your sword. Then you become the leader of the notverymerry men, who take you to their camp – which is just a big clearing in the woods. Your first order of business is to put them to work building tree forts – cause its more fun to live in a fort than on the ground. 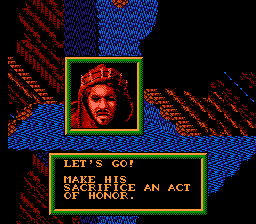 Then you go on various quests, killing a boar, saving a kidnapped princess, rescuing a guy from your band and liberating friar tuck and his caravan. Then when your tree houses are finally finished you get attacked by swarms of Celts that put the heart on you and your merry band. They drive you away temporarily, and burn some stuff down, but that doesn’t matter because it’s time for the final showdown with the Sheriff. 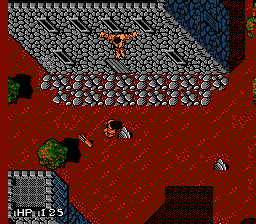 You invade the castle and attack the Sheriff at the altar. Go Robin! The game actually plays through quite quickly. There is a bunch of back and forth, but the maps are short, the enemies are easy and nothing takes up too much time. 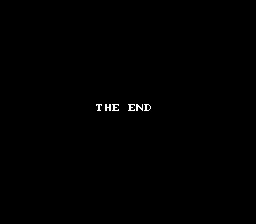 I was surprised that I got to the ending so fast actually, but really in a game adapted from a movie there isn’t much content to put in there. The gameplay is fun, the duels are not. I basically held down a turbo button and waited for the other guy to die. Backing him up, or getting him stuck on an object worked even better. The horse race parts are silly and don’t make any sense, you can’t move up or down or anything and just have to repeatedly jump rocks that appear in fairly predictable fashion. Some movie parts were amusing to see on my game screen, it was fun to play through and I would recommend it for anyone that enjoys the Robin hood series, and this movie in particular.